We're getting a new Lord of the Rings game, and it's one that will focus on perhaps the most interesting character across all of Tolkien's works: Gollum. 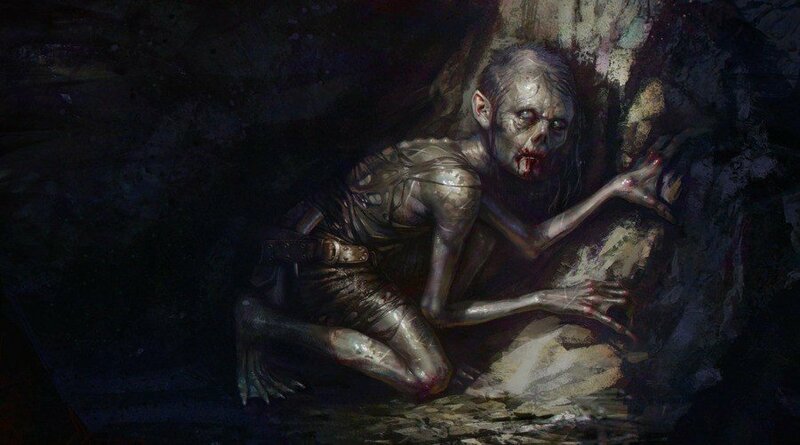 Twisted and tortured by his desire for The One Ring, Gollum is a key figure in both The Hobbit and its sequel, and would make a great central character for any game. That's clearly what publisher Daedalic Entertainment thinks, as it is creating a point-and-click adventure with The Artist Formerly Known As Sméagol in the lead role. Created with the assistance of Middle-earth Enterprises, The Lord of the Rings: Gollum will take place between the events of The Hobbit and The Lord of the Rings. After being tricked out of ownership of The One Ring to Bilbo Baggins in The Hobbit, Gollum is torn apart by rage and is eventually captured by a resurgent Sauron, who tortures Gollum to discover the powerful trinket's latest whereabouts – setting in motion the events of The Lord of the Rings. Given the large space of time between both books, there's plenty of ground to cover in the game, much of which was never fully fleshed-out by Tolkien himself. We tell Gollum's story from a perspective never seen before, in any storytelling medium, all the while staying true to the legendary books of J.R.R. Tolkien. At a time when the games industry is undergoing structural changes and seeing new business models evolve, we are excited to realize a huge new production based on a story that has stayed fresh and relevant for more than 60 years. The Lord of the Rings: Gollum is seen as the first in a new wave of officially-licenced games based on Tolkien's epic high fantasy world, and will launch on 2021 on “all relevant console platforms at that time”. We'd imagine that includes Switch, but we obviously can't be sure at this moment in time. There's also little to report on the game itself, which is understandable given how far away it is. What we do know is that this won't be based on Peter Jackson's acclaimed movie series, so don't expect familiar faces (or indeed voices) to appear – we'll have an all-new cast with different designs, and the world of Middle-earth will no doubt look a lot different, too. 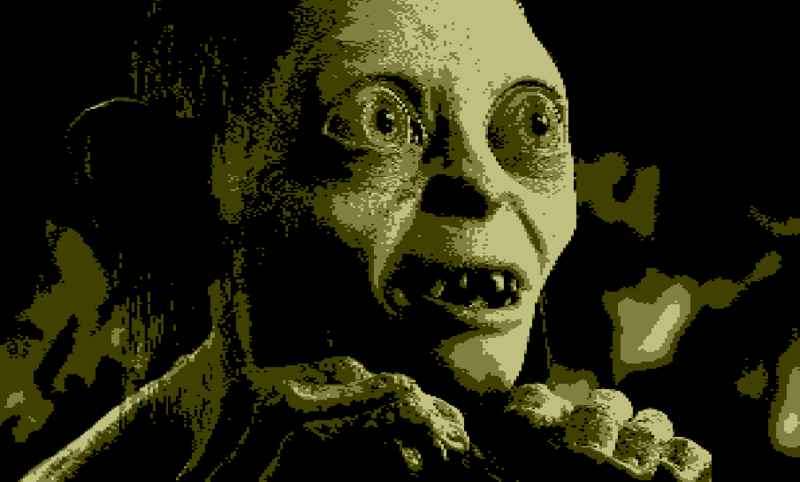 Docked: 60 FPS 1080p, as Smeagol vs Portable: 720p, 30FPS as Gollum. @luke88 Isn't it just? It's not from the game, alas! That picture of Gollum reminds me of the FMV sequence for the first zombie encounter in the original Resident Evil. I’m okay with it as long as it’s not concidered canon. Then they can have some fun with it. I'm big into point-n-click adventures in general, just not so much Daedalic's games. I don't mean to be harsh, but most of them lack the Charisma, Uniqueness, Nerve, and Talent it takes to keep me invested. This seems like a huge opportunity for them, so I really hope they bring their A-game, and I wish them great success! @nintendolie not true - Legolas is a shield-surfing elf, first one I've ever seen. Also Gimli is actually a 6 foot 1" tall man pretending to be a dwarf, they are likewise few and far between. @nintendolie ….well those typical RPG characters came from authors like Tolkien! In fact, I believe the creators of D&D got sued by the Tolkien estate early on for it's use of many of Tolkien's races/monsters; and D&D was one of the first RPGs. I'll most likely pass on this even though I love the subject. I'm not a big fan of point & click games. @nintendolie Rather the other way around: Lord of the Rings is pretty much the template for any RPG out there, seeing as it was one of the first novels that was so fleshed out and detailed, so LotR is pretty much the king and largely inspired the birth of the RPG genre, both in board games AND computer games. @dkxcalibur That is correct, sir. Nearly all D&D games are based upon the template that Tolkien created, both in the creation of races, and their arts/skills. Huh. I wonder what new and returning characters will it have. I can’t even begin to describe how excited I am! I am a massive LOTR geek, owning multiple copies of the books, all the movies in various formats and editions, and the radio plays... not to mention all the merch I own. I hope they make the stealth combat like Shadow of Mordor/War haha. @Pod Is this a Drag Race reference? ... defeating Sauron was a mistake. @Pod It always amazes me how popular the show has become. I've been watching all the way since season 1. Yes, yes! We wants it! I first caught on to its existence while season seven was airing, but I've watched all of it. @Pod You're a man of class. Yes, they are actually typical RPG characters, because Tolkien invented the whole genre with his books. So yeah... the characters in LOTR are the grand daddies of all fantasy RPG characters. So they can't actually be anything else than typical, when so much stuff afterwards were inspired be these characters, and the fantasy world Tolkien created. Gandalf IS THE typical fantasy wizard. The template for all common fantasy wizards. Period. Legolas is the original template for an hero ELF, and Gimli the original template for a hero Dwarf. When these characters was created by Tolkien, they were highly original, but has now become typical because of endless copies of them into other fantasy settings. I should like to think the same of you. @nintendolie other way round your typical RPG characters are based on LOTR! What sort of game will this be? Action? Adventure? Open world? RPG? "What we do know is that this won't be based on Peter Jackson's acclaimed movie series..."
Probably the best news I could hear. While I generally like Jackon's take on "The Lord of the Rings", it annoys me that some people have embraced it as the definitive visual presentation of that universe. Edit: Oh, I see it's a point-and-click adventure. That makes me rather less interested, unless the writing happens to be exceptionally good, which I rather doubt will be the case. @nintendolie First off Gollum may be really interesting but doesn't hold a candle to our bois Thorin Oakenshield, Gimli, or of course Legolas. In no way are any Lord of the Rings characters generic, and feel free to present evidence on why you think they would be. Point and clicks are just for the sake of making a game and trying to get mone out of it.